Kimberly’s love and passion for spreading the gift of music through song has always pushed her to perform. Dave Cornthwaite was never very good at school, but started to excel when he finally left the education system. In our ephemeral, digital world where everything is mediated through a computer screen and summoned by the click of a mouse, ancient objects in dusty old museums are essential to future of learning. She explores whether young people are the carriers of the characteristics of a new leadership paradigm that is responsive to tackling our pressing societal challenges. Clemens is a student at The City of London School, who kindly hosted us this year, and won a competition we ran for pupils to propose talsk they would like to present. How can Business and Schools enhance Career Guidance together? Fundamentally Chris believes people should have work they are enthused by, believe in and are good at. Jo Webster is the Managing Editor for Strategy and Operations for Europe, the Middle East and Africa at Reuters. Timandra presents the BBC Radio 4 series, FutureProofing; and documentaries including Data, Data Everywhere, Personality Politics & The Singularity. Daniel Lewis Rowntree (goes by the name RedBeard) is a beatboxer who has been beatboxing since 2012. 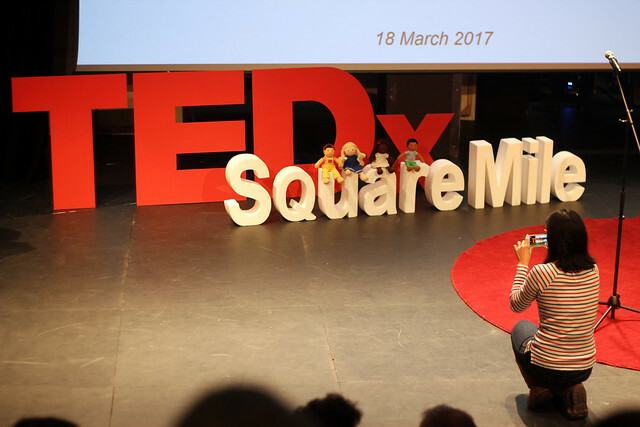 At TEDx Square Mile, Emma touched on 10 things Parkinson’s has taught her about life, herself and other people to show how being diagnosed has been the making of her, leaving her grateful rather than hopeless. Magdalena is a change maker committed to making our world a better place, who teaches people how to operate with more ‘heart’. Jamie is an accomplished journalist, nominated national adventurer of the year, equestrian Long Rider and explorer, who also has a day job as a Senior Editorial Strategist. In this TEDx talk David explores how to fail well and still succeed. Nicola talks with passion about the importance of better representation for those affected with rare disease across all walks of life and how the key to achieving this is RARE education. Steve is an EdTech entrepreneur who is passionate about bottling greatness and sharing it through learning & communications technology. Alexandra Gabriel started her musical training at a young age as a chorister in Exeter Cathedral.